Product prices and availability are accurate as of 2019-04-11 17:40:51 EDT and are subject to change. Any price and availability information displayed on http://www.amazon.com/ at the time of purchase will apply to the purchase of this product. 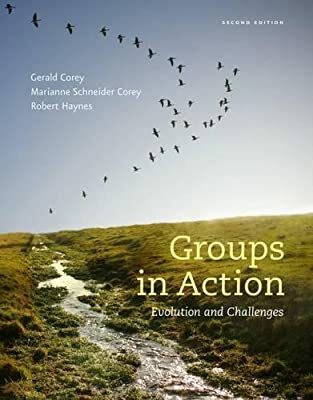 On GROUPS IN ACTION's exciting videos, you will see Marianne and Gerald Corey in action as they demonstrate their integrative approach to group work. You'll watch a real group move through its various stages and will observe group members discuss real issues and present reactions in the group context. These compelling videos were filmed at a three-day intensive group and show the unfolding of a live group as the group members build "a circle of trust." The videos highlight the development of the group process by showing segments of the group work that occurred over the three-day session. Throughout the video, the Coreys demonstrate a wide variety of techniques and skills, including how to deal with members' hesitation and resistance, their feelings of not being "good" enough, their fears of being judged, their difficulties with intimate relationships, and their unresolved issues with parents. A new addition to these videos is a series of lecturettes featuring Dr. Gerald Corey. The accompanying exercises and explorations are directly linked to the videos and the book, GROUPS: PROCESS AND PRACTICE, thus enabling you to build your skills and apply them to various situations. 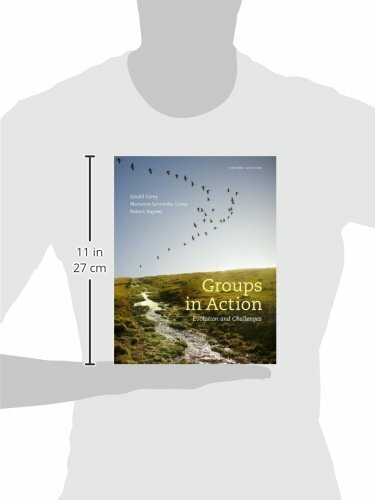 GROUPS IN ACTION is available as a DVD, CourseMate Website Printed Access Code, and Workbook package.